Scott Gottlieb, the head of the Food and Drug Administration, says he still believes in the harm-reducing potential of e-cigarettes, which are far less hazardous than their combustible competitors. But by threatening to restrict e-cigarettes in the name of preventing underage vaping, he is knowingly setting a course that leads to more smoking-related deaths than would occur if the government were to let the market thrive. "In closing the on-ramp to kids," Gottlieb said in a speech last week, "we're going to have to narrow the off-ramp for adults who want to migrate off combustible tobacco and onto e-cigs." That "unfortunate tradeoff," as he calls it, is not necessary, scientifically sensible or morally justifiable. Gottlieb is responding to "an epidemic of e-cigarette use among teenagers," which he erroneously equates with an "epidemic of addiction" and even "a whole generation of young people becoming addicted to nicotine." According to the National Youth Tobacco Survey, the share of high school students who reported vaping during the previous month peaked at 16 percent in 2015, fell to about 11 percent in 2016 and remained roughly the same last year. The percentage of teenagers who vape often enough to become addicted to nicotine is much smaller. In the 2015 NYTS, for example, just 2.5 percent of high school students (16 percent of current users) reported vaping on 20 or more days in the previous month, and almost all of them were current or former smokers. To the extent that teenagers who otherwise would be smoking are vaping instead, that is an unambiguous gain in public health terms, since the latter habit is much less risky. And despite warnings that increased experimentation with e-cigarettes would lead to more smoking, consumption of conventional cigarettes by teenagers continues to decline, reaching a record low last year. Gottlieb says the FDA has "preliminary data" indicating that, contrary to the latest NYTS results, "youth use of e-cigs is rising very sharply." That would be troubling, but it still would not justify regulations that discourage adult smokers from making a switch that could save their lives. In addition to enforcing the ban on selling e-cigarettes to minors, the FDA is considering restrictions aimed at making the products less attractive to adolescents. "We know that the flavors play an important role in driving the youth appeal," Gottlieb says, so "we may take steps to curtail the marketing and selling of flavored products." The problem is that supposedly kid-friendly e-liquids are also popular with adults, many of whom report that flavor variety was an important factor in switching from smoking to vaping. A recent survey reported in Harm Reduction Journal found that "adult frequent e-cigarette users in the USA who have completely switched from smoking cigarettes to using e-cigarettes are increasingly likely to have initiated e-cigarette use with non-tobacco flavors and to have transitioned from tobacco to non-tobacco flavors over time." The authors of that study (which was funded by a grant from an e-cigarette company) warned that "restricting access to non-tobacco e-cigarette flavors may discourage smokers from attempting to switch to e-cigarettes." 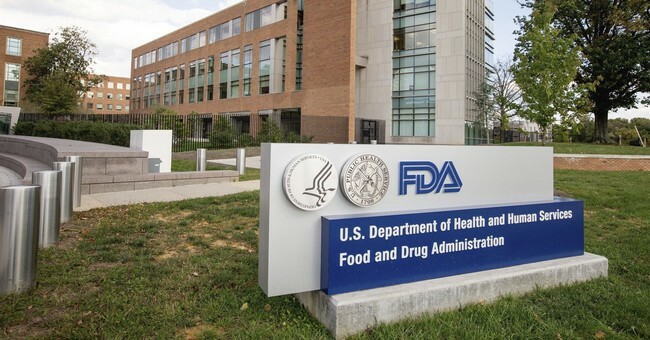 The FDA itself recognized that danger last year, when it noted "the role that flavors ... may play in helping some smokers switch to potentially less harmful forms of nicotine delivery." More generally, the FDA can force manufacturers to make e-cigarettes less appealing to teenagers, but only at the cost of making them less appealing to adults, which is inconsistent with the agency's avowed commitment to harm reduction. The public health impact of encouraging smokers to get their nicotine from less dangerous sources, Gottlieb says, "can dwarf anything else we're able to accomplish in any reasonable stretch of time" by "avoiding a lot of the death and disease that's going to be caused by cigarettes." If the FDA impedes the transition to safer nicotine habits through misguided regulations, the result will be "a lot of death and disease" that could have been avoided.